We look forward to seeing you in Toronto at the One Of A Kind Show, Nov 23 - Dec 3. Our booth # is V 48. New designs showing at the One of A Kind show. 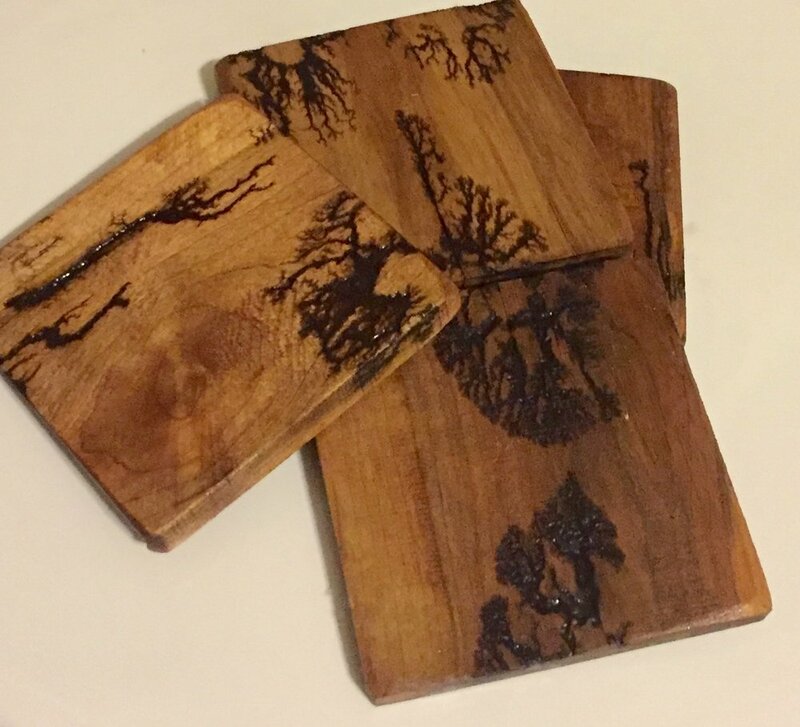 Hardwood coasters with electro-burning designs. There are no two alike. Pallet wood side table with elctro burning. Besides the bicycle and road sign furniture, home decor and sculptures we will have pieces made from pallet wood. Come get a set of hardwood coasters before their gone. Set of 4 for $30, 2 for $20. The electro burning design makes each one unique. Stop Sign getting a second life as a side table. We are having a moving sale. contact us for a shipping quote for your favorite piece. Trim, elegant, and gorgeously sustainable, this coffee table is built entirely from bicycle parts.